Today we’ll talk about one of the potential problems connected with swimming especially if you train in the pool more than 2-3 times a week. I’m talking of course about swimmer’s ear. Swimmer’s ear is an infection in the outer ear canal (part of your ear from your eardrum to the outside of your head). Its name comes from one of the frequent causes of this infection – water remaining in your ear after swimming that creates moist environment aiding bacterial growth. Other causes are putting fingers or cotton swabs in your ears. So if you recognize some of them you might be a victim of swimmer’s ear. There are some things you can do to prevent swimmer’s ear. First of all, you can make sure your ears stay as dry as possible during your swim by using ear plugs or cotton ball with vaseline. You can also take care of your ear canal by not using cotton swabs and never scratch the inside of your ears. After a swim, you can use homemade ear drops made of vinegar and rub alcohol to clean your ears drying them from any water. In early stages of the infection boric or acetic acid solutions might help you but the best way to treat swimmer’s ear is get special ear drops reducing the inflammation. It’s also very important to carefully clean ear canal alongside the ear drops treatment. Do you love swimming? Get Swimmo! 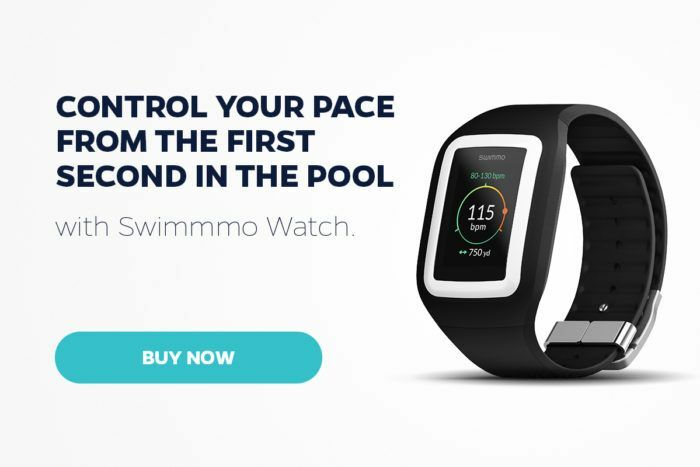 Swimmo Training Watch and App is a perfect way to measure your progress and stay motivated during and after the swim! With laps, pace, heart rate from the wrist and much more it is a great and easy to use solution.